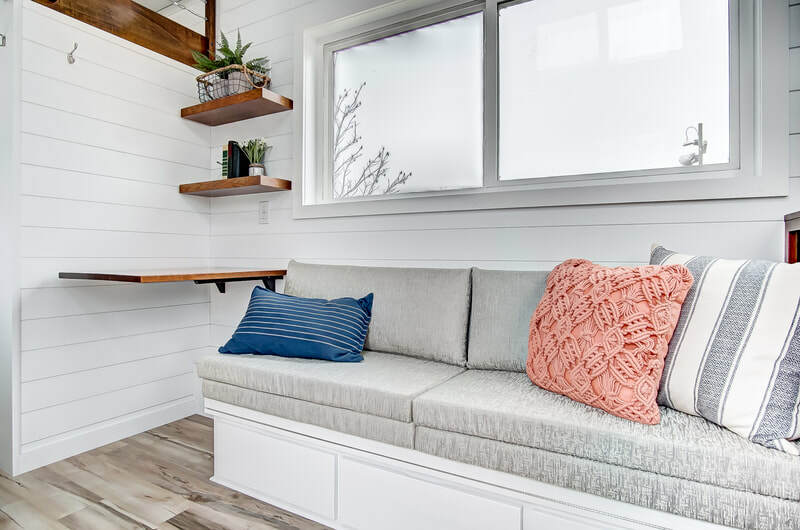 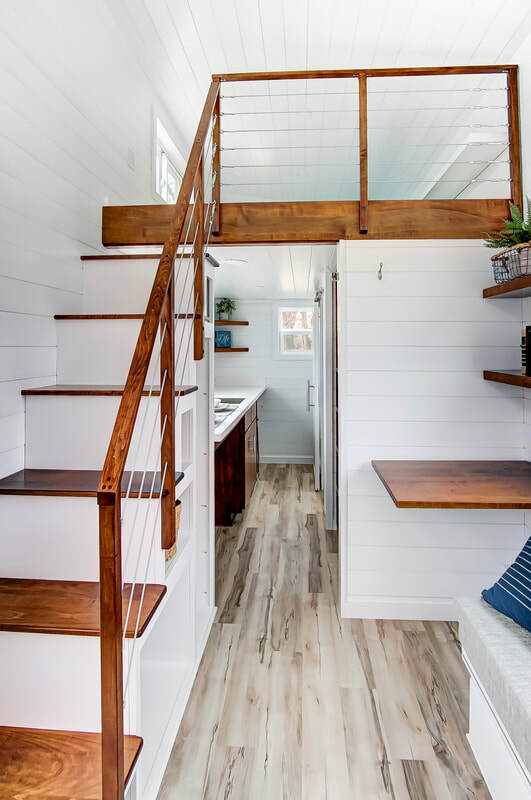 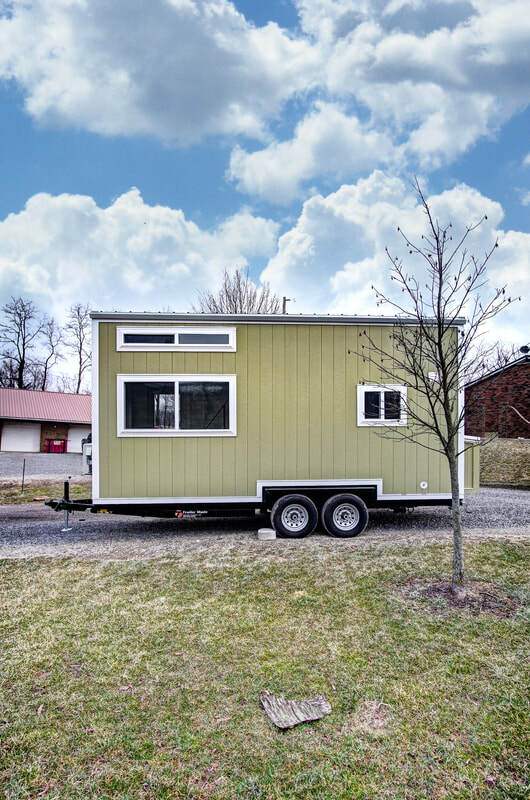 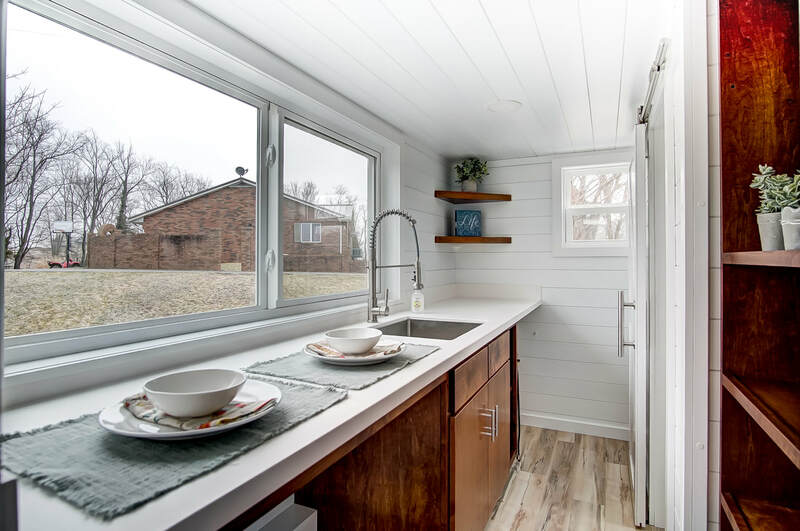 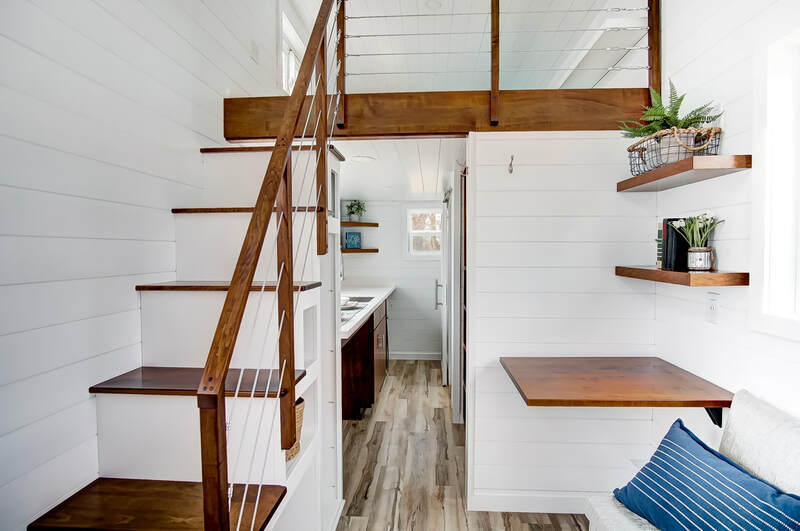 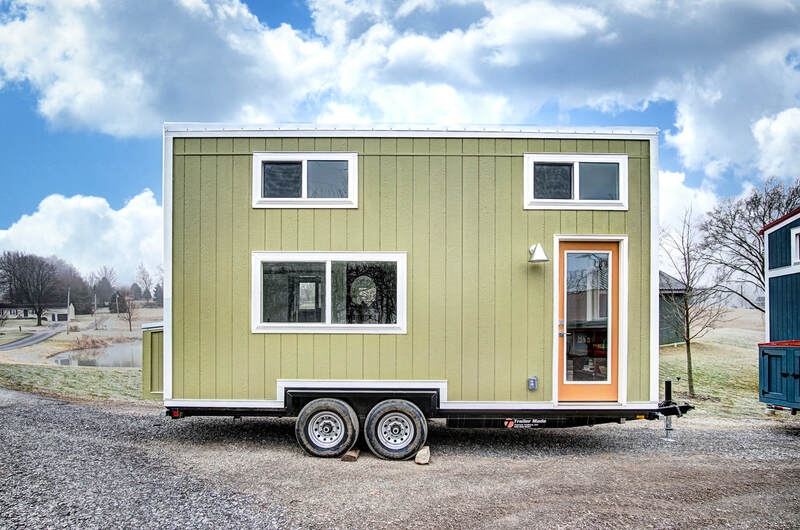 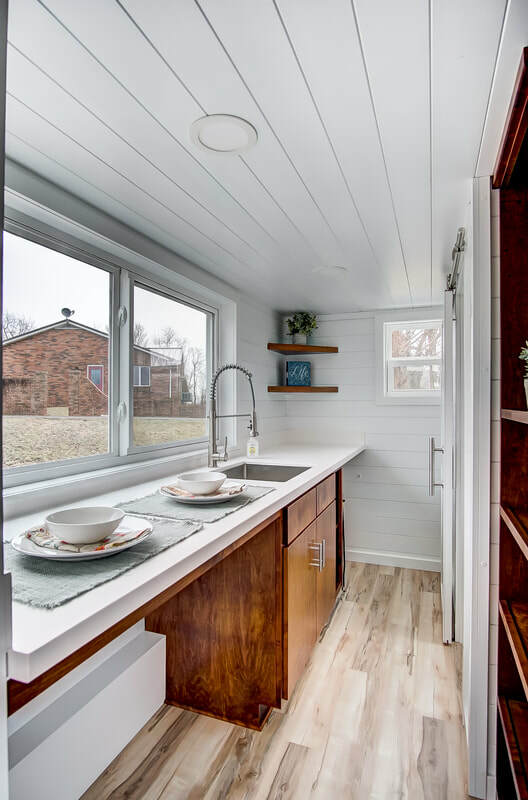 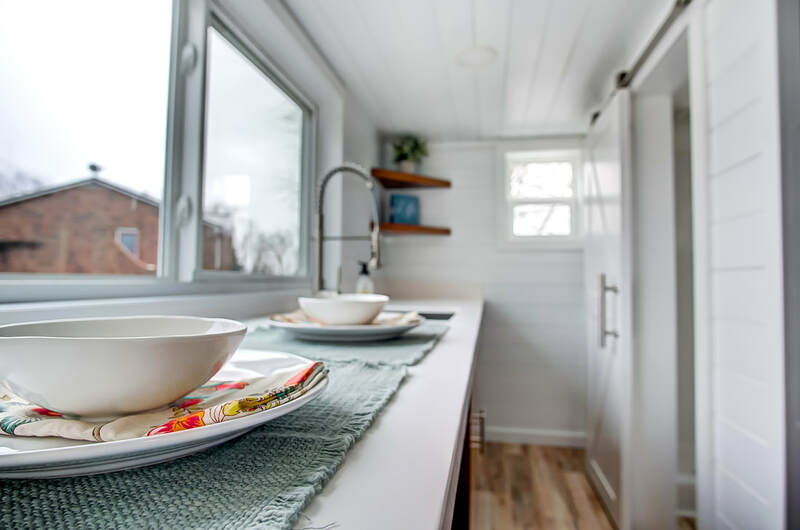 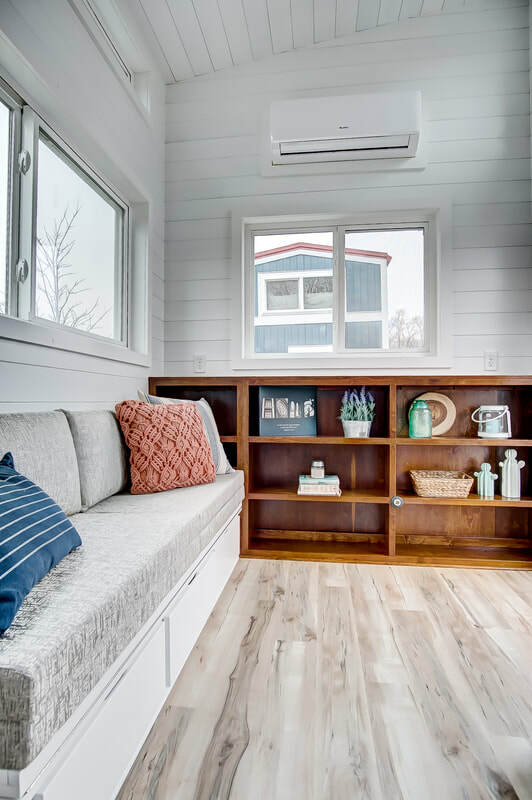 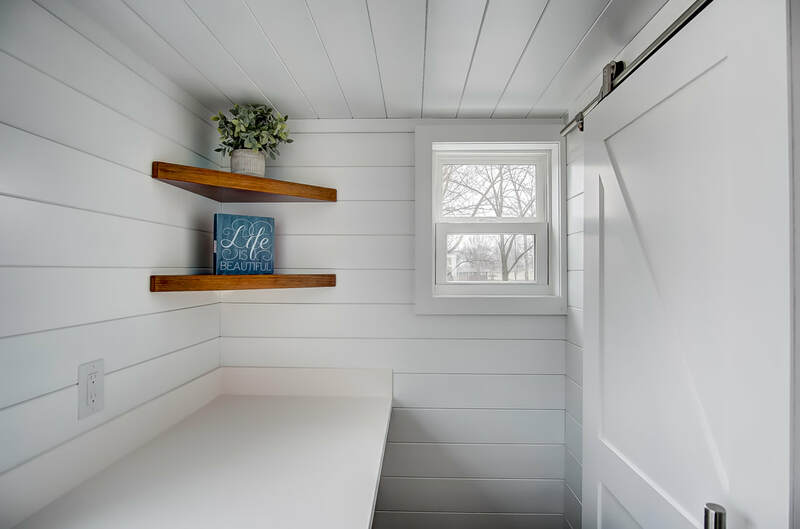 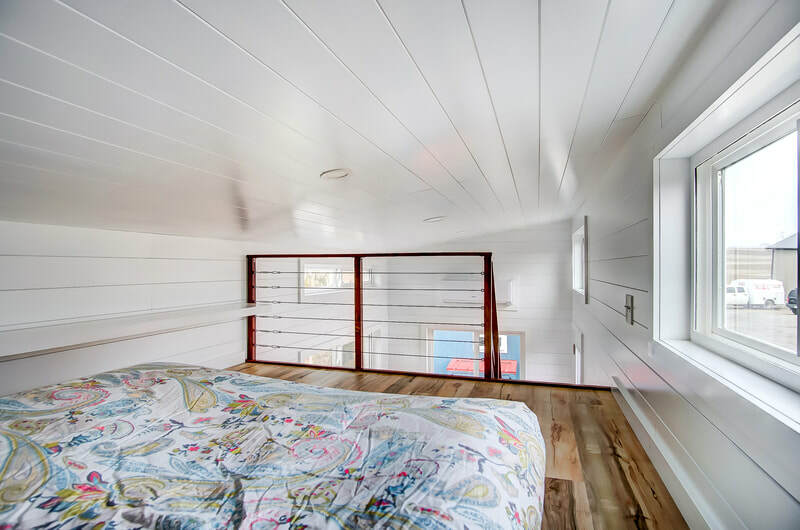 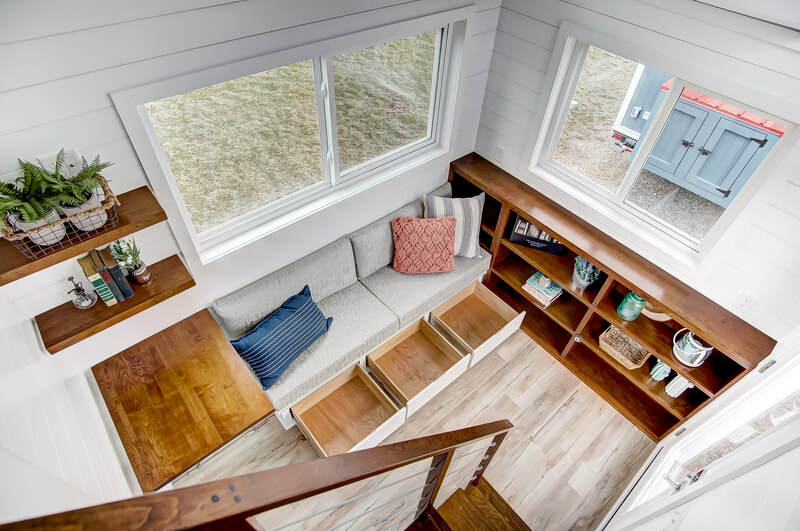 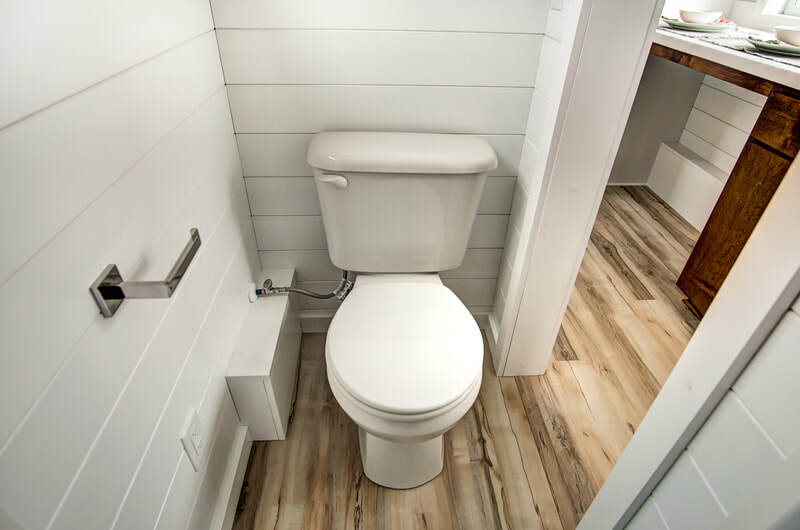 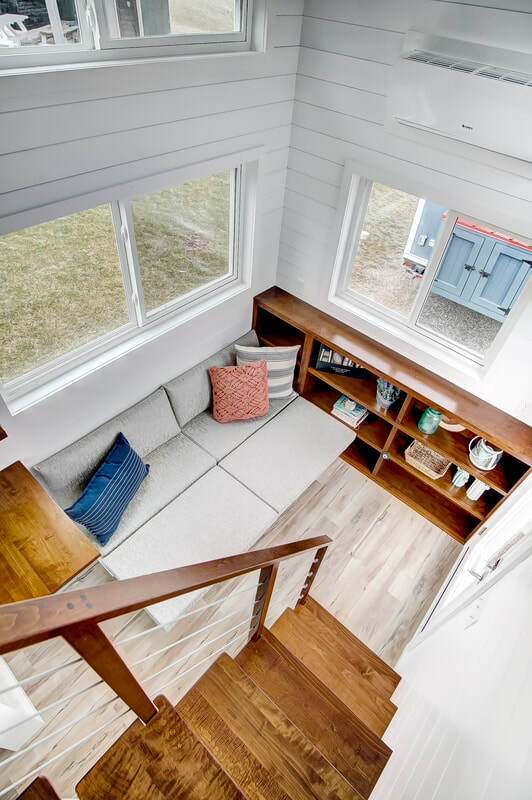 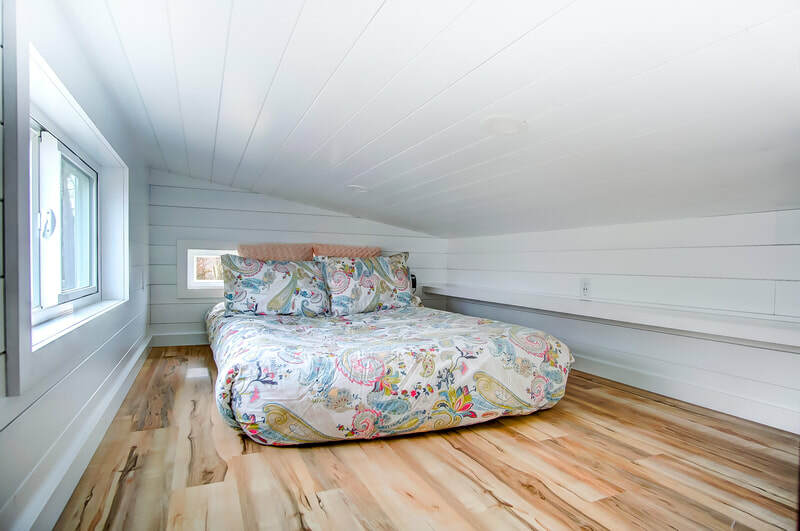 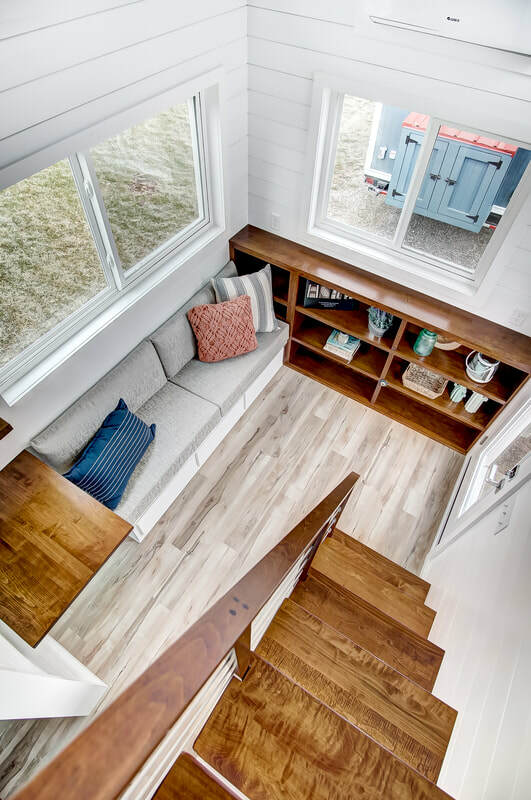 Kill Devil Hills is a simple, beautiful variation of Modern Tiny Living's popular Mohican model, with a funky green exterior and sublime interior. 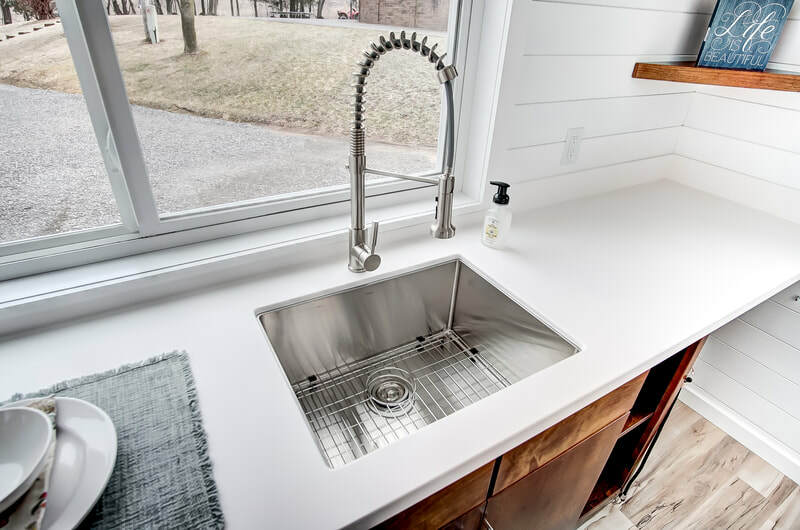 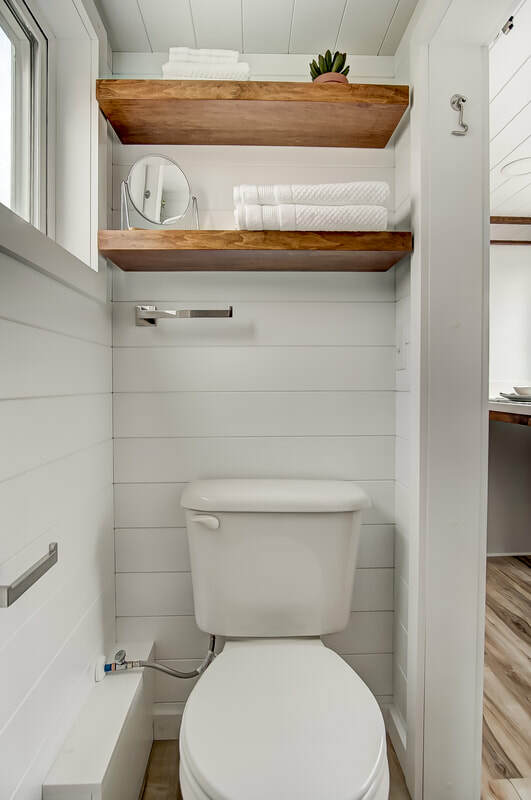 The gray/white solid surface counters beautifully contrast the custom wood cabinets, giving Kill Devil Hills the open air, fresh feeling of a modern beach cabin! 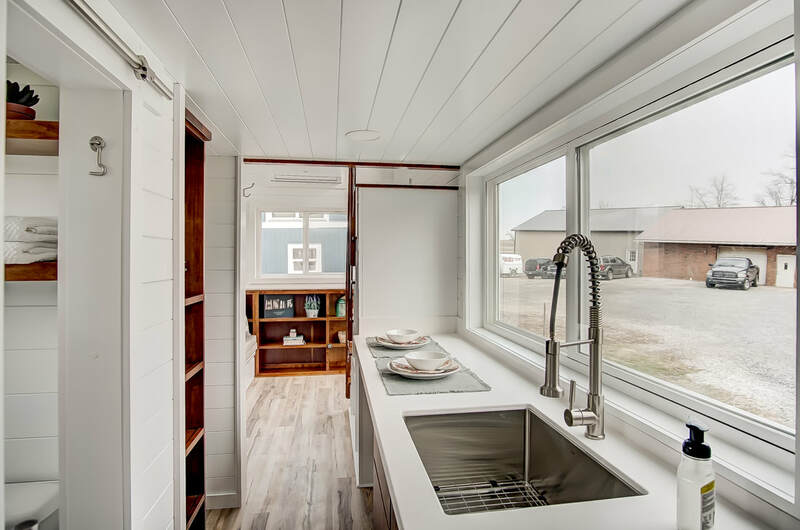 Kill Devil Hills was named after the Outer Banks town of the same name, as this home is being sent off to North Carolina for the exceptional River & Twine tiny house hotel. 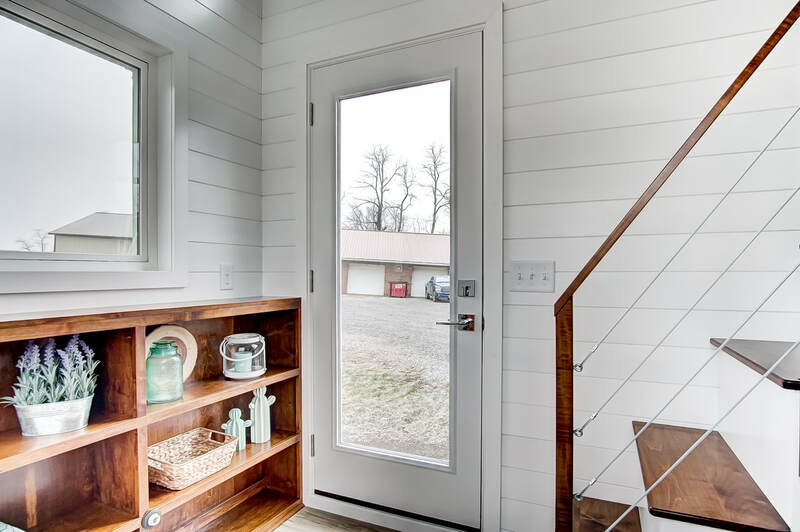 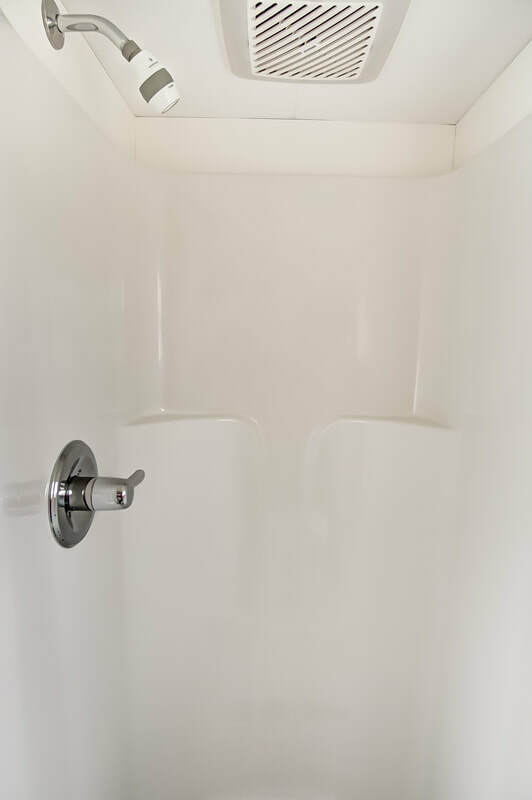 Since this home will be used primarily as a rental, you'll notice the lack of full-sized appliances. 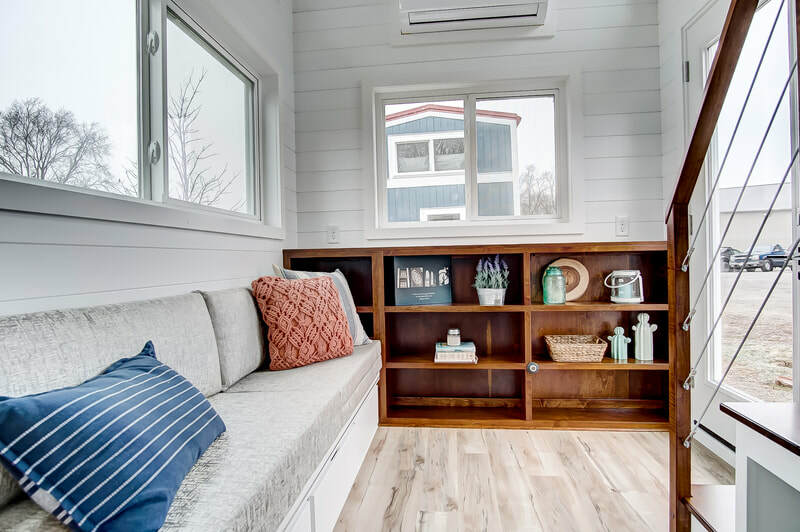 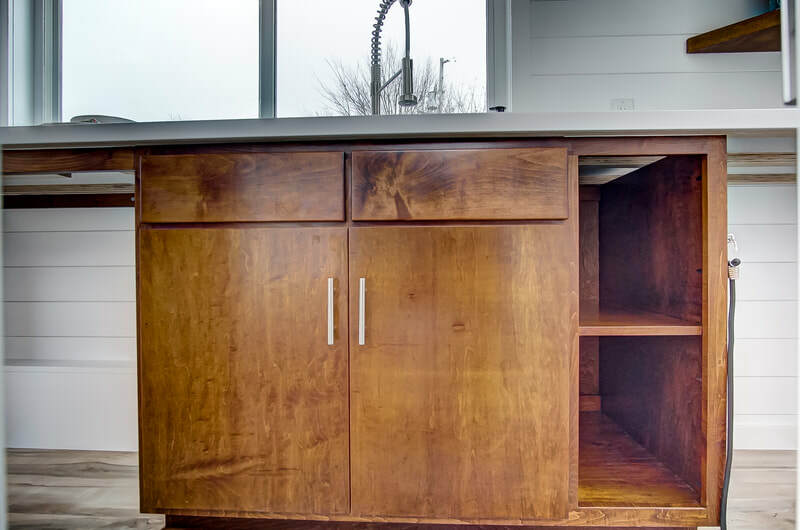 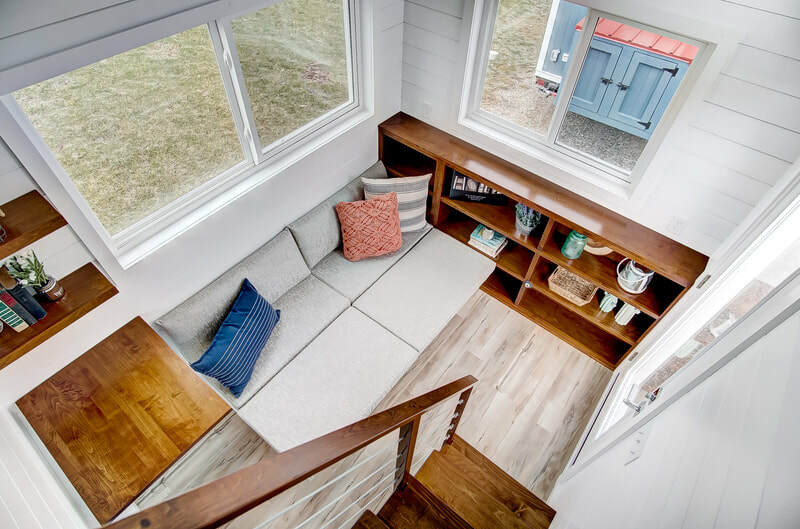 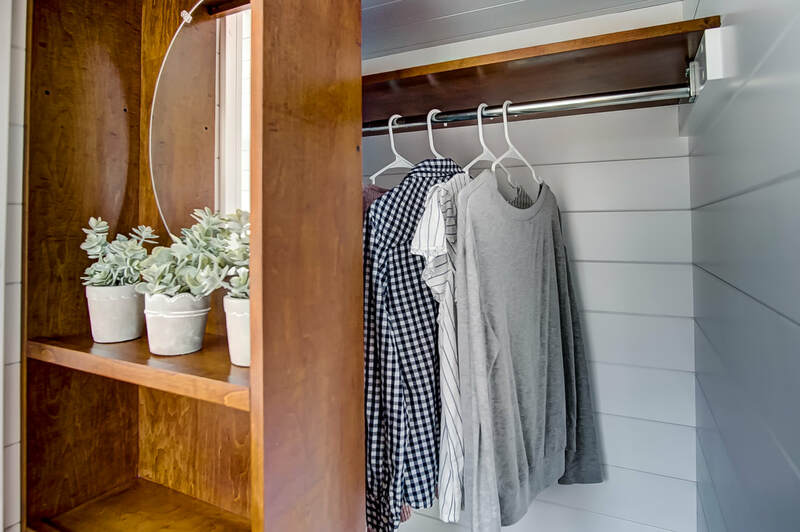 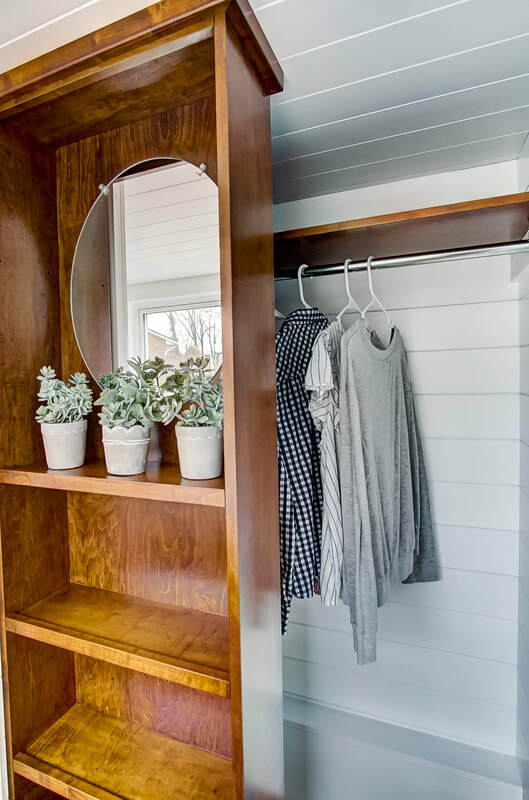 The Mohican model can easily accommodate full-sized appliances, washer/dryer, and more, but this unit simply did not need them, as the casual weekender doesn't need the storage and cooking options of a full-time home. Check out the Kill Devil Hills video tour! 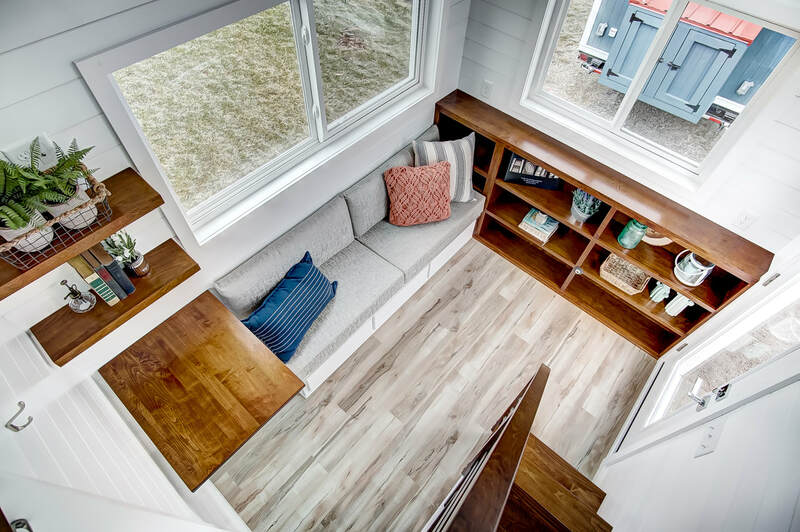 WANT MORE INFO ON KILLS DEVIL HILLS?